The quantities , , are called the principal invariants of the matrix . 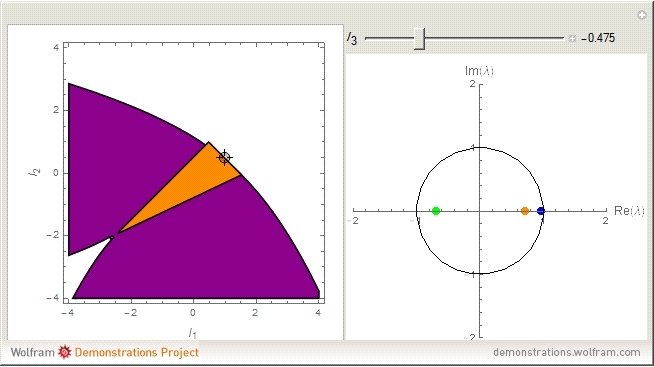 Drag the point in the - plane and move the slider to display the corresponding eigenvalues around the unit circle in the complex plane. 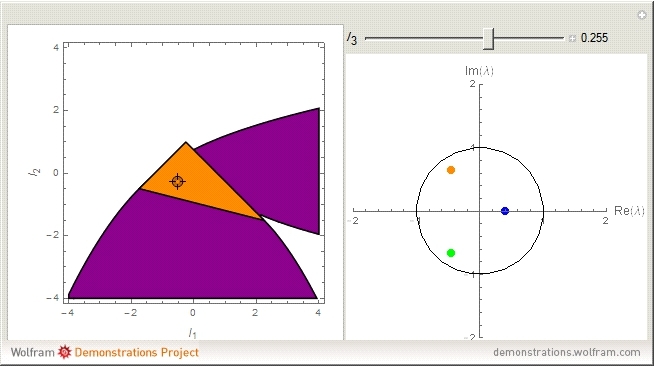 In the left-hand graphic, the discriminant is negative in the purple region; in the orange region, the eigenvalues have modulus less than one. The eigenvalues of the matrix determine how the flow of a differential map or the orbit of a discrete map behaves. 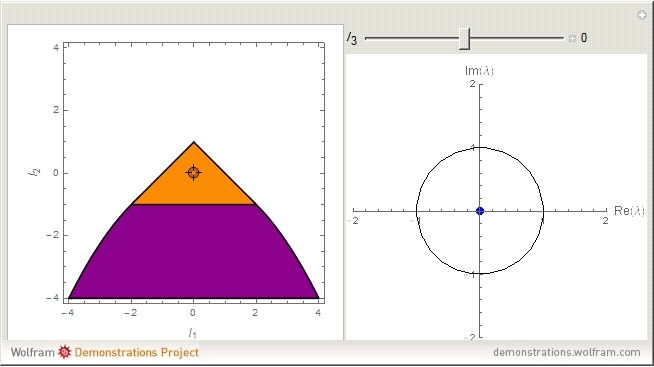 "Eigenvalues and the Principal Invariants of a Linear Map"